As residents of Hatton Garden, right in the heart of Liverpool city centre, we’ve seen a lot of things come and go, but it’s fair to say the area is now positively booming. The Richmond Hotel, right opposite our office, has become one of the more popular destinations for visitors to Liverpool in recent years, especially being just around the corner from the Terracotta Warriors exhibition at The World Museum; meaning people from across the country and indeed the world can be seen gathering outside our gates most mornings. Then there are the recent additions such as; Costa Coffee, Barley & Beans and the fabulous Fattoush, which boasts a marvelous menu of Middle Eastern delights, so it’s fair to say we pretty much have it all on our doorstep. And recently we welcomed another newcomer to our beautiful neighborhood in the form of Sleep, Eat, Love; the new self-titled ‘Poshtel’ from the same team behind ‘Love Thy Neighbour,’ which has also opened up next door in the old Victorian fire station – complete with some stunning street artwork courtesy of Graphic Artist Neil Keating. Built in 1884 by Thomas Shelmerdine, who was at the time the city’s corporation surveyor, the building was designed specifically to provide cover for the city centre and the old inner areas of the city and much of its original elegance is still evident for all to see. In the latter half of the 20th century, part of the first floor at the rear was used as overflow courtrooms and offices for the adjacent Magistrates Courts but was eventually closed in 1976 before becoming a tyre fitting garage, and had been empty since 2003. But like many of the other magnificent buildings in and around Liverpool, it has now been given a new lease of life as life as the area thrives once more – for which all of us who work and live here are absolutely delighted. 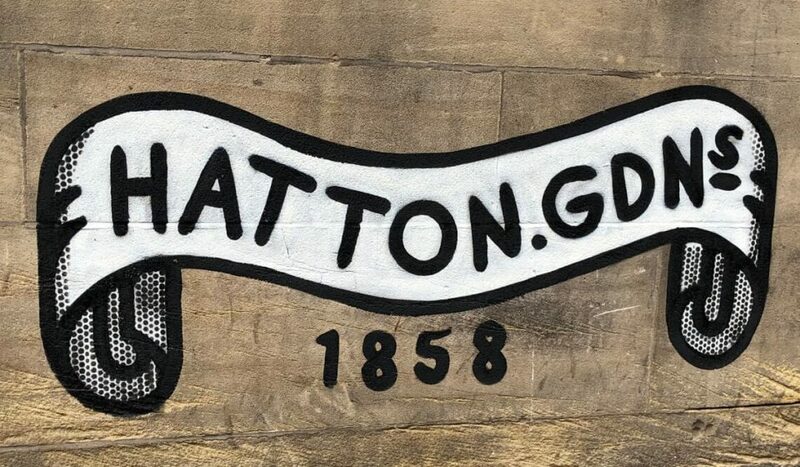 The area known as Hatton Garden, in Liverpool 3, has seen many transformations over the past 150 years or so; from the devastating destruction caused by German bombers during World War II to the decay and despair brought about by several economic downturns. However, the street is now thriving once more. Whether it’s as a major thoroughfare between Dale Street and Tithebarn Street for those looking to get to work, or a meeting place for the many students who live in the surrounding apartments, while also being a place we are proud to call home – so next time you’re passing by, why not drop in and say hello? Want us to transform your digital presence? Why not give us a call on 0845 163 16 16 or if you’re in the neighbourhood drop in and say hello, we love to talk.